The supreme piano for stage performance. Step onstage and step up to the world’s most impressive stage pianos, with amazing pianos and EPs onboard, plus audio-play and master control features. The RD700GX is powered by Roland’s latest sound engine for incredible sound quality. The flagship RD700GX leads the market with its SuperNATURAL instruments and a PHA II “Ivory Feel” keyboard with Escapement. The RD700GX is anchored by Roland’s finest 88-key stereo multi-sampled piano engine, including a brand-new expressive piano sound, with every note captured using a generous amount of wave capacity. In addition to its super-expressive onboard piano sound-sets, other essential instruments are built into this new piano, including EPs. You can even customize and save your sounds for instant recall. Your fingers will love the RD700GX’s top-of-the-line PHA II “Ivory Feel” keyboard with Escapement. This amazing keyboard technology reproduces the real surface feel of ivory acoustic piano keys providing a familiar stability and comfort to the pianist. 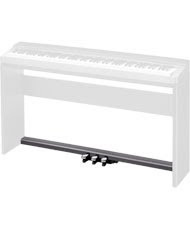 The keys are designed to absorb moisture, ensuring a secure, slip-proof feel, even in the hottest stage environments where sweaty hands can spell disaster. 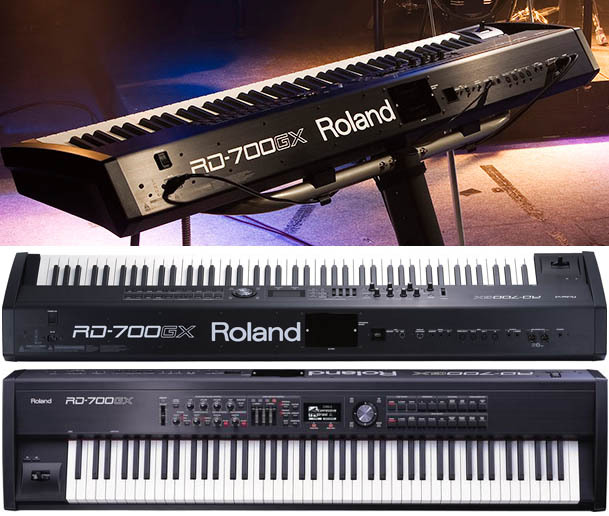 Another distinguishing feature of the RD700GX is its electric-piano sound bank derived from Roland’s unique SuperNATURAL technology. Enjoy realism, expression, and control like never before with this special selection of EPs that provide amazingly authentic and organic tonal response. Play audio through the RD-GX directly from a USB memory key. Flexible file compatibility enables playback of Standard MIDI Files, .WAV, AIFF and MP3s. The "Audio Key" feature lets you use the bottom 15 keys for controlling start song, song length, etc. In addition, you can connect directly to a PC via USB and tap into Cakewalk SONAR LE software, included in every RD-GX package. For those who like to get inside an instrument and customize its sounds, the RD-GX’s Piano Designer feature is your key to unlocking and personalizing the sound-set, down to the smallest details such as Hammer Noise, Damper Resonance, Duplex Scale and more. In the RD700GX, sounds can be further customized with the eight channels of powerful onboard multi-effects. Expand and personalize the internal sound-set by adding up to two optional Roland SRX expansion boards, then take your music to the stage. The RD-GX series make great master controllers, thanks to multi-zone functionality and multiple MIDI outputs (three MIDI outputs). *Audio File can be played with Audio Key Function. Weight: 25.0 kg, 55 lbs. 2 oz. Perform with confidence thanks to legendary RD quality updated with advanced music engine and functionality. 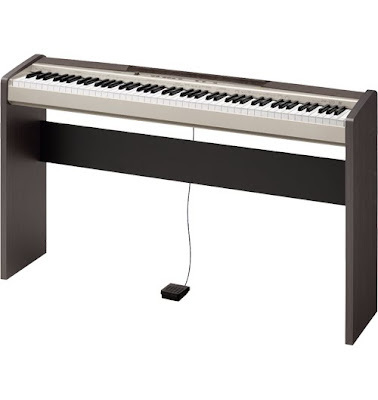 The Roland RD-300GX is a powerful digital piano for powerful stage performances. It includes an impressive collection of stereo multi-sampled pianos, electric pianos, organs, and performance synth sounds. You also get PHA alpha II 88-key weighted action, WAV, AIFF, and MP3 audio playback, and multizone master controller features. The RD-300GX's vast sound set is powered by Roland's latest sound engine for incredible sound quality.